In 2010, Lilly Hartley launched Candescent Films, her New York City-based film company giving donations and investments to socially relevant films. "What Candescent does is 'Filmanthropy', she says slowly and with a grin, checking to be sure I got that word. 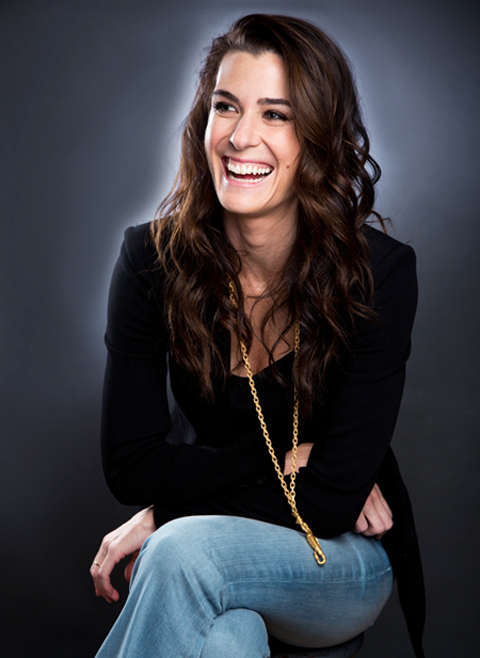 "I was an actress and production executive for 10 years, but I didn't see enough progress toward my goals. So I started Candescent to help directors produce and finance films that can ignite conversation and change. We've supported 16 films to date." HASSLER: Talk about some of them. The first film Candescent helpled was Queen of Versailles, the opening film at Sundance in 2012. A proud moment was when, as a producer on Sons of the Clouds*, I won a Goya Award with Oscar-winner Javier Bardem and director Alvaro Longoria. We screened it for ambassadors at the European Parliament in Brussels and here at the United Nations with Kerry Kennedy and the RFK Center for Justice and Human Rights. Art and Craft is about a mentally-challenged artist who perfectly replicated some Great Masters, then gave his paintings away. Oscilloscope will release it in theaters later this year. 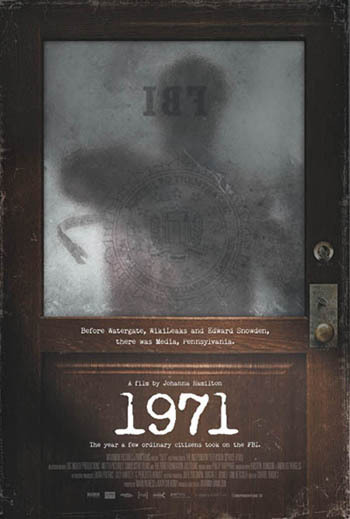 Another we worked with (as Executive Producer) was 1971 , in which eight citizens reveal themselves, after 43 years, as the ones who broke into an FBI office in Media, Pennsylvania, exposing hundreds of secret, incriminating files. Their story parallels the Edward Snowden story in many ways. HASSLER: And the third received an award at TFF? Yes, partnering with the Tribeca Film Institute, we developed the Candescent Award for powerful, socially conscious films we had supported. Time is Illmatic won the inaugural award. It reveals the social and economic environment hip-hop artist Nas overcame in order to create "Illmatic," his memorable album. HASSLER: Weren't you involved in Fed Up, the film currently in theaters? We did support that film in a small way. It definitely will change the way you think about food. It shines new light on little-known aspects of our food industry and the American obesity epidemic. Hartley is an Executive Producer of the film Private Violence, a moving film about domestic violence directed by Cynthia Hill. The film premiered at the Sundance Film Festival this past January and will get a fall broadcast by HBO Documentaries. It is the opening night film at the New York Human Rights Watch Film Festival on June 13th at Lincoln Center. The same festival will feature another Candescent-supported film, E-Team, about the intense and dangerous work of four intrepid investigators on the front lines of identifying international human rights abuses. HASSLER: What is it about documentaries that excites you, Lilly? They're the best medium for educating large numbers quickly. Documentaries are becoming a form of news. People want real stories told by people who are living them. HASSLER: How do you hear about films coming into being? I've been building relationships in the documentary community. It's very close-knit and welcoming and has grown strong over the past 20 years. There are many smart, driven women in this field now, including Cara Mertes, Julie Goldman, and Lauren Greenfield. They've all been instrumental in my success. I might search films out myself or talk with other grant makers about directors and their upcoming films. I get to know the director before supporting a project. I also work with WME (William Morris Endeavor), and I'm a member of SAG (the Screen Actors Guild). Just last night I was having dinner with a group of women. We were on the subject of documentaries when one said, "That's all I ever watch!" Docs are having a moment in the sun now. The New York Post did an article about how all the great films at Tribeca Film Festival were documentaries. Bankers, fashion people, everybody wants to watch them. iTunes and Netflix are helping documentaries as they provide easy access for people throughout the world. HASSLER: How do you fund these projects? I appeal to related entities like foundations but often raise awareness in creative ways and with other partners. We might hold a clothing fund drive for Private Violence, for example, to raise money for domestic violence shelters. Hartley's looks and energy make a powerful statement. She is vivacious, confident, pretty and tall at 5' 11". Despite her height, she wore heels to her photo shoot. Plus she was wearing a necklace that bore a Scorpio drop. "I'm very much a Scorpio," she laughed. HASSLER: It sounds as though you must raise funds, have creative ideas, and know people who can help you. I am blessed with a supportive family that includes my husband, parents, sister, and family friends. They love documentaries, and I value their opinions when I'm selecting projects. My father's a playwright, and his old friend from Yale is Ken Howard, president of SAG and my godfather. *Sons of the Clouds shows the extreme living conditions of 200,000 displaced people living in refugee camps along the Western Sahara Desert.